As we learned last month in The 2012 Online Lead Follow-Up Survey, there is a huge opportunity for home builders to stand apart from the crowd when it comes to online lead follow-up. Of 200 new home communities surveyed in 2012, 30 percent did not respond even once to an online inquiry. It’s a shocking statistic, given that with a proper follow-up program in place, 20-25 percent of all online leads can be converted to appointments. So what’s the secret formula? 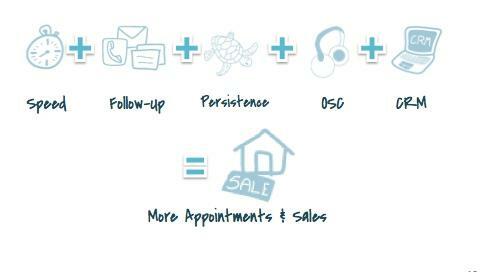 Together with Mike Lyon of DoYouConvert.com, we have identified five core elements that will help you convert more online leads to appointments. Speed – The best time to contact a lead once they’ve registered on your site is as soon as possible. The Follow-Up Process – A defined follow-up process is core to achieving more conversions to onsite appointments. Persistence – Those sales professionals who are patient, meticulous and never give up are the successful ones. The Online Sales Counselor – An OSC is perhaps the single most important marketing investment to achieve your online marketing strategy. Customer Relationship Management – The right CRM system will capture online leads directly from your website or online lead directories, and takes the scheduling and guesswork out of follow-up and communication. To find out more about these five core elements and the follow-up statistics mentioned above, download The 2012 Online Lead Follow-Up Survey here. Also, be sure to join Lasso and Mike Lyon on February 26, 2013 for the webinar – “Follow Up. Stand Out. Sell More Homes in 2013” – when Mike will discuss how to create an online follow-up program that works. Register for the webinar here.